Scientists at Chicago’s Lincoln Park Zoo Urban Wildlife Institute are looking for the public help in their project to monitor bat diversity. Ever since white-nose syndrome was discovered in Indiana in February of 2011, scientists in nearby Illinois have been paying extra attention to bats to see if they show any signs of the devastating disease. 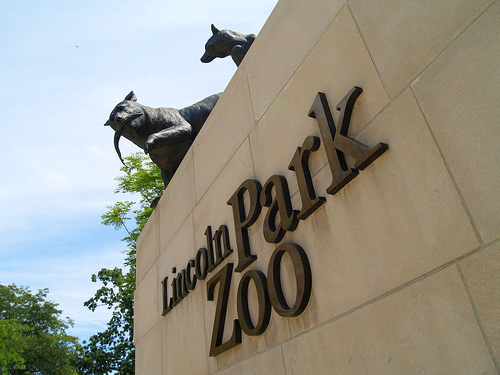 As part of a Urban Wildlife Biodiversity Monitoring project researchers have installed passive acoustic-monitoring systems at Lincoln Park Zoo and in suburban communities outside Chicago. The results of the monitoring show that at least four of eight bat species that live in Illinois are also found in and around Chicago. Although the researchers have identified big brown bats, eastern red bats, silver-haired bats, and hoary bats, from their calls, they are still not sure where exactly the bats live or how many there are. Now they have asked for the public to report bat sightings in hopes of getting a clearer picture of the distribution of the species prior to the appearance of WNS. If you would like to help, send your bat photos, stories and tips to [email protected].